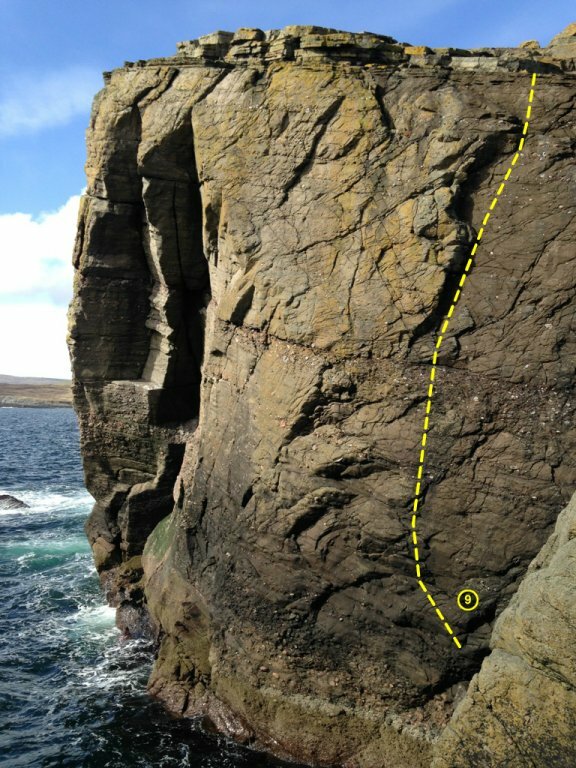 This small sandstone headland to the South of Lerwick is a great crag for an evening and offers some great routes that can be sheltered when westerly winds write other crags off. 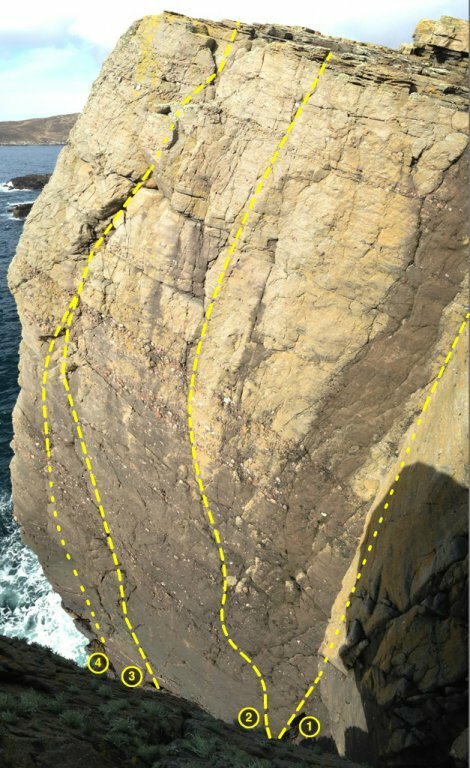 The main routes on Sea Hellier Wall and Ruggen were put up by various parties in the 90's and West Wall first climbed in 2014! 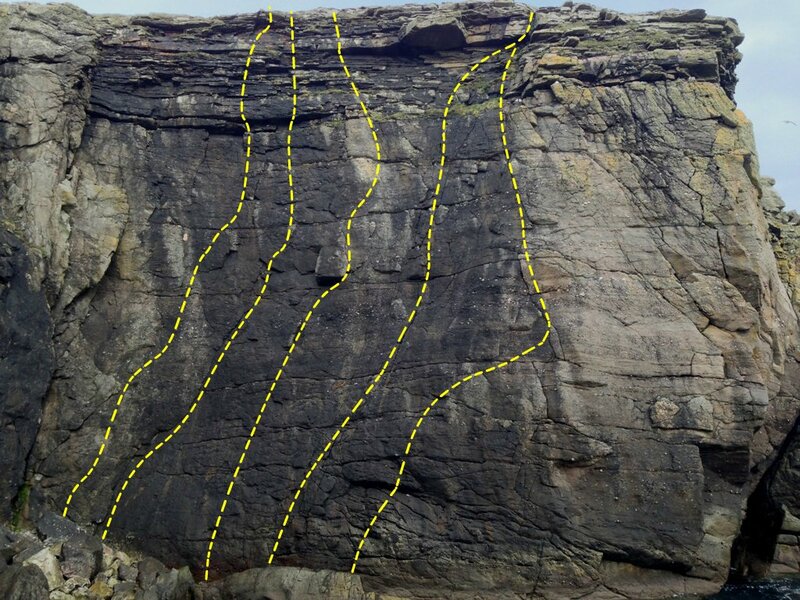 The more accessible routes at the Sea Hellier arch area are shorter but still very interesting. 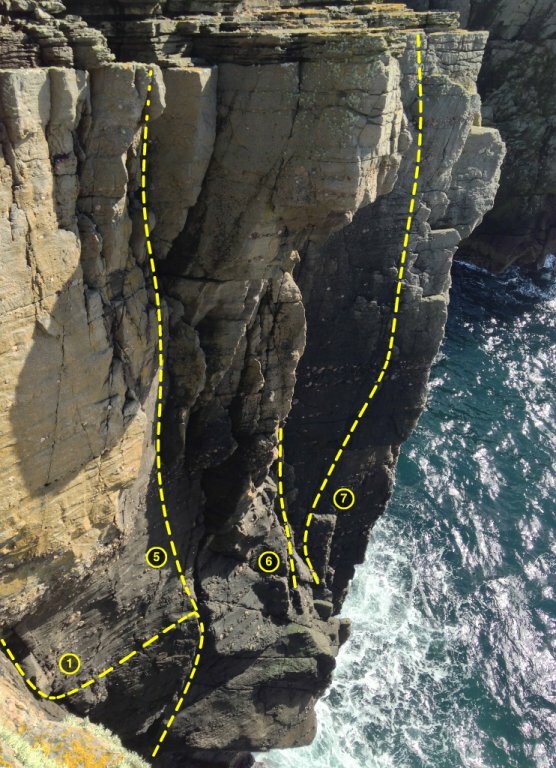 The crags' main asset, of course, is that it is walking distance from Lerwick. Follow the road South past Tesco and fork left after 400m. Carry along until the road steepens into a track. Park by the gate at the top of the track (HU469390). From here, walk through the left gate South-east to the Sea Hellier area or walk South through the right gate to get to the Ruggen and West Wall areas (and bouldering). If the track has been temporarily closed off by the crofter park dow by the sea where the road takes a sharp right away from the coast (HU468396). To add a photo use the uploader in the right sidebar. Make sure you include Ness of Sound in the photo description so it gets added to this page. “New Squids on the Block” was led by Dave Turnbull, not Andy Donson. “Tirrick Wall” and “Flake Chimney” were led by me, not John Morrison. “The Canch” was led by me, but I can’t remember who seconded! New Squids was attempted by Dave but he backed off before the final runnout (off a skyhook) and handed over the lead to me. Thanks for showing us around – we had a great time on Shetland. 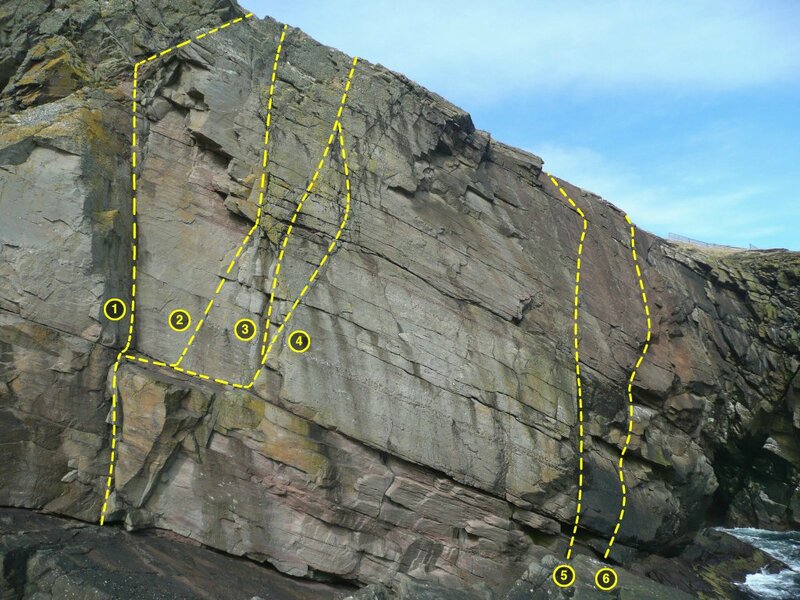 Thanks for the update on New Squids; it’s great to see the first ascentionists of some of these routes taking an interest in the site! I’ll update the route description. Hi Andy! That must have been after I’d finished taking photos and gone. Sorry for the misunderstanding. So are you still in Lerwick? Yep, still here. Now retired but still getting out climbing. The emergence of a new crowd of active climbers which developed into this club got me back into it after almost giving up. Aye. The routes are surprisingly good. I can’t quite remember why we didn’t give The Logical Positivist two stars as well.